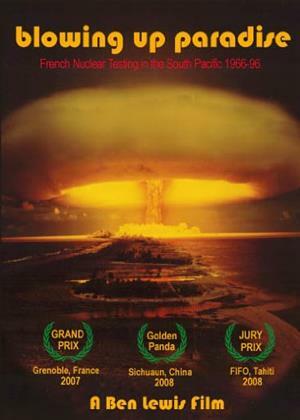 This is the story of thirty years of French nuclear testing on a remote island in the South Pacific, 1966-96. It features rare film archive from the French Ministry of Defence of their nuclear tests and propaganda films, and also interviews with the Tahitian islanders, test workers and French military personnel. 'Both painful and empowering, this is a film everyone needs to see.' San Francisco Bay Guardian 'A salutary tale encompassing repeated betrayals of trust, extraordinary recklessness and the brutal suppression of any local or international resistance'.Time Out, London. On 2 July 1966, a nuclear device codenamed 'Aldebaran' was detonated on Moruroa Atoll, beginning thirty years of nuclear testing in French Polynesia. A few days later, the French sent a naval vessel, La Coquille, to the island of Mangareva, situated only 400 km from the test site to carry out a series of tests. The results were shocking - so shocking they were kept secret for over 30 years. President Jacques Chirac promised the end of nuclear tests there in 1995, as rioters set fire to the Tahitian capital Papeete, and a thirty-strong flotilla of international protestors' yachts defied French warships in the waters around Moruroa. This is the true story of liberty, equality and radio-activity.